Hulu no longer free. Hulu live streaming service Hulu TV cost you $42 per month. Hulu no longer free but Hulu tv cost is not as high as the package offered by DirecTV Now, the price of Hulu tTV is higher than previously reported. As Hulu live streaming service approaches a widespread launch, a detail has emerged about its price. Earlier reports were that Hulu monthly fee will be less than $40 per month, but according to the New York Post, subscribers are likely to pay a monthly cost of $42 for Hulu live tv. Although that's a bit higher than originally thought, it's still less than DirecTV Now, which is $60 / month for 60 channels, but in line with the Orange Sling TV package that offers live tv at $40 month. Hulu has signed many of the major broadcast networks (ABC, CBS, Fox, but ultimately not NBC) and has ESPN, FS1, NBCSN plus regional sports networks that are important to fans of their local teams. Just as the Hulu service comes out of beta testing and is preparing for its release date, it knows that it has to have the networks that consumers want so they can cut the cable or decide on their first pay-TV service. If Hulu can attract subscribers is the big question, since Sling TV, PlayStation Vue, DirecTV Now and YouTube TV have had considerable advances in it. But if consumers feel like they're getting a bang for their $42, then Hulu might have something to yell at. However, if your DVR in the cloud and access to your on-demand library does not work as it has been promoted, then there will be some strong complaints. 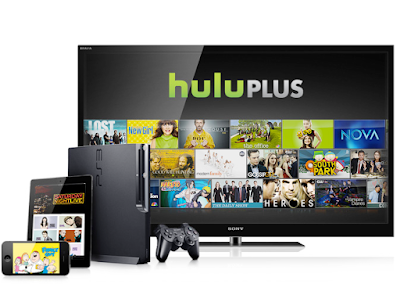 The Hulu tv cost is not out of line compared to its competition. The key will be for consumers to feel that they are getting something of value for what they are paying to see with the Hulu monthly fee.